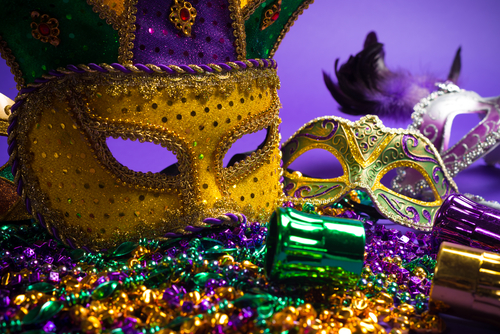 The birthplace of Mardi Gras, New Orleans, may be quite a way’s away from our Third and Valley apartments, but here in South Orange, we can still celebrate it in full effect at the Cajun and Southern restaurants in the area. Southern Comfort Café, located at 501 Central Ave, City of Orange which is a six minute drive from your Third and Valley apartment, is an easygoing hangout featuring down-home Southern plates and homemade cakes, plus unique cocktails. Southern Comfort Cafe is the creation of husband and wife entrepreneurs, Marcus Johnson and Rochelle Brown Johnson, who strive to epitomize Southern Hospitality. Here, they “celebrate the spirit of the South” with their food, service, and atmosphere! Papillon 25, located at 25 Valley St, South Orange which is two blocks from your Third and Valley apartment, is a sophisticated restaurant and martini bar serving New American and Cajun fare in a modern space with live jazz. Here, enjoy a menu of more than 50 martinis and a wonderful selection of wines as well as uniquely exotic cuisine that adds to the air of elegance, grace and nostalgia reminiscent of the supper clubs of the ’40s and ’50s.